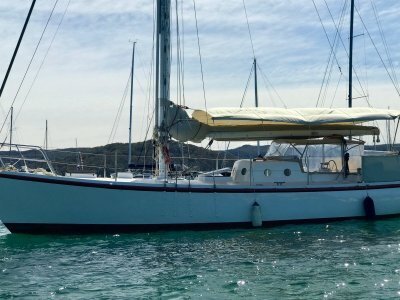 Jeanneau Sun Odyssey 49DS One owner. Equipped for world cruising. Surveyed. HUGE PRICE REDUCTION. 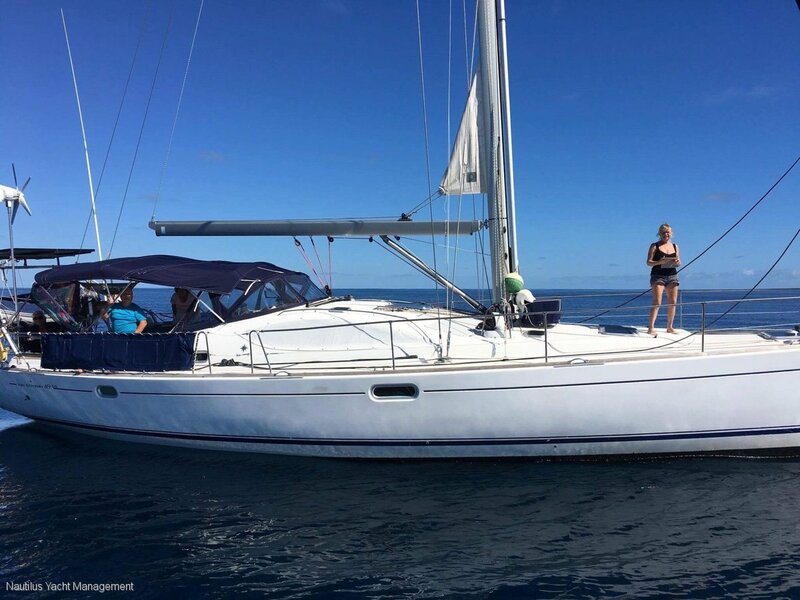 OWNER HAVE MADE AN OFFER ON A CATAMARAN AND WANT TO SELL FAST. PRE-BOOKED DRY STORAGE IN PORT VILA FOR CYCLONE SEASON 2018-2019. ONE OWNER. NEVER CHARTERED. STORED ON HARD STAND DURING WET SEASON (4-5 MONTHS / YEAR). BEAUTIFULLY MAINTAINED AND UPGRADED THROUGHOUT ITS CRUISE FROM EUROPE TO VANUATU. CURRENTLY IN PORT VILA, VANUATU. OWNER WILL DELIVER TO AUSTRALIA OR OTHER PACIFIC ISLANDS. 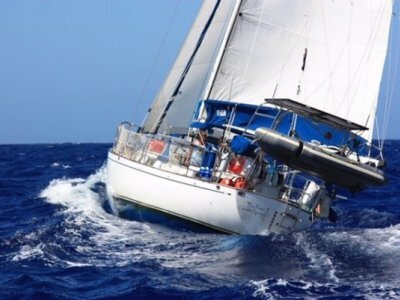 -FURLING MAIN AND FURLING GENOA FOR EASE OF HANDLING. -SOLAR (438 AMPS TOTAL) AND WIND GENERATORS (D400) WITH REGULATORS. -TOP QUALITY SPARCRAFT MAST AND SPARS. The boat was out of the water up to 6 months each year, which greatly reduced exposure and ageing, and over 150000EUR were spent on the boat since they started their voyage. The surveyor valued 212000EUR in 2017 and Rene has always professionally maintained. Recalling the classic elegance of the grand seafaring yachts of yesterday, the Sun Odyssey 49DS benefits from the design talents of today's top naval architects, Philippe Briand for the high-performance hull and Vittorio Garroni for the pure, graceful lines. As a passage-maker and long range cruising yacht, the Jeanneau 49DS combine ease of handling, strength and sea kindliness in spite of her astonishing turn of speed. Designed for comfortable cruising both on deck and below, her accomodation offers liveability, space and intelligent storage. The warm interior is drenched in sunlight, thanks to the large tear-shape windows, and the true ship-like cabinetry with its rounded corners and silky teak trimmings. 'Samarina' is a one-owner yacht that was purchased new in 2006. The boat has never been chartered and has always been religiously maintained. 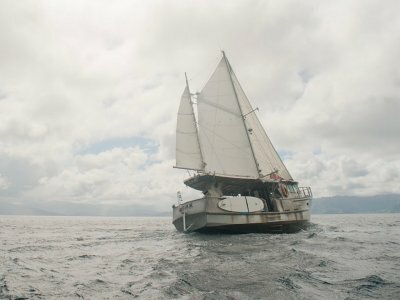 A survey was carried out in March 2017 in Tahiti, prior to the boat continuing sailing on to New Caledonia, and finally to Vanuatu, where it is now located. Yanmar Model 4JH3. TE24841 100HP (upgraded from 75HP) Serviced every 100 hours. (Service records provided) Surveyed (2017) 240L fuel. Engine hours: 2843 Shaft drive. 3 X blade bronze prop. (J prop) with spare prop. Shaft drive. 3 X blade bronze (J prop) with spare prop. New dodger and Bimini 2016. 3 cabins layout with 1 island queen size berth in master cabin forward, and 2 X queen size berth in aft cabins. 2 X heads with stand alone showers (1 X ensuite in master cabin), plus one guest head area. Huge saloon / dinette with seating for 10. As new Alcantara upholstery. Navigation table with computer and all repeaters. 2 X hot and cold stand alone showers (1 X ensuite in master cabin), one guest. Cockpit shower. Reverse cycle air conditioning. Webasto ducted air heater. Spade anchor with additional spare anchor in sail locker. Electric ancor winch 1000w with chain counter and remote control. Yes. 6 X fire extinguishers. Electric Anchor winch 1500W with chain counter and 60m of chain plus 30m rode. Spade anchor, plus FOB spare anchor. Dive compressor (6m3 / H Bauer) hardly used, 35H). Scuba diving equipment including air tank, BDC, regulators, etc. 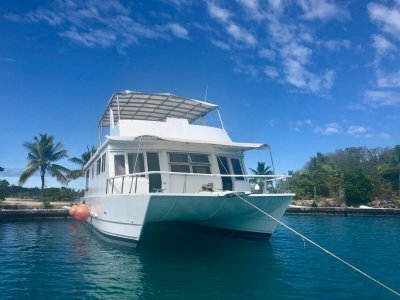 Perfect live-aboard and world cruiser! Equipped with every possible extra.